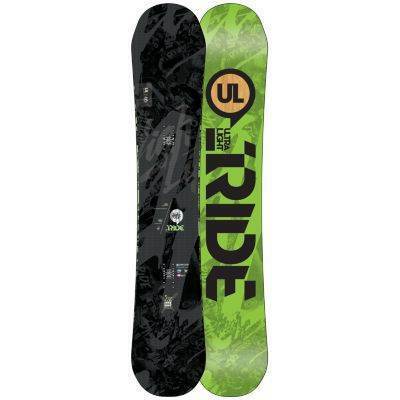 The Ride Highlife UL is a good all conditions all mountain snowboard that can double as a good freeride/powder snowboard. This is for that guy who likes to straight line orver anything, carve here and there and have really easy float in powder. The addition of hybrid camber for 2012 really changed the ride for the better. After the big change in 2012 not much has changed from the 2012-2015 Ride Highlife UL. Conditions: 3 days Hard snow at the top with softer good snow at the bottom. 1 days Perfect soft sierra groomer snow. 1 day with over 1 ft of powder. Set Up: Set Back almost all the way. 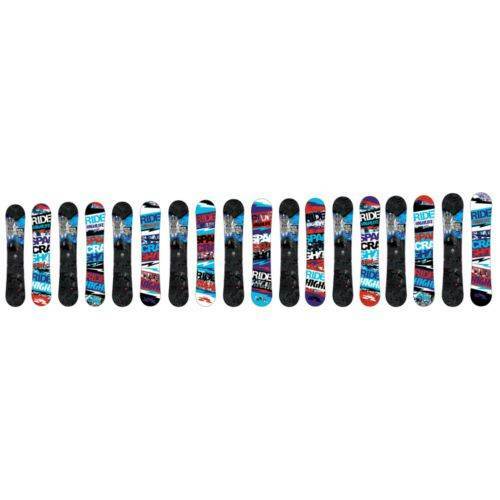 23″ wide 18 front -6 back. All the Ride UL boards are just a lot of fun and this aggressive all mountain to freeride board is no exception. 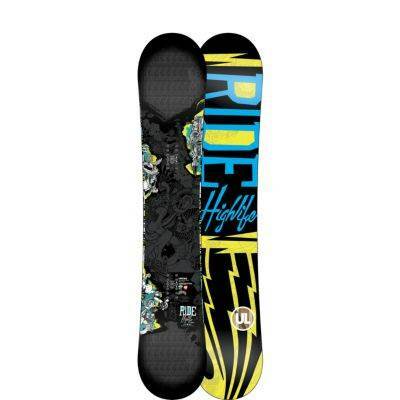 The 2012-2015 Ride Highlife is a bit different in terms of design than the Flat to Rocker Design of 2011. Ride changed this to a Hybrid Camber board and we are big fans of this upgrade. 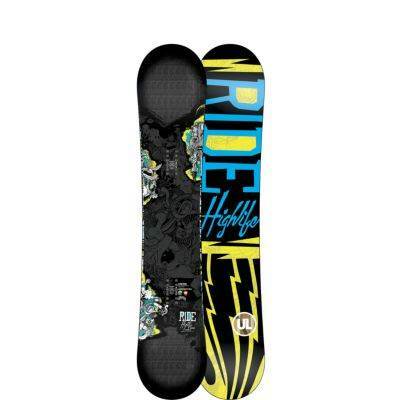 The highlife still has the same type of extra rocker in the nose that it did in 2011 but now has a very small camber between the feet. It almost looks flat from a distance.This is a directional type of camber that is combined with Rides Ultra Light tech. 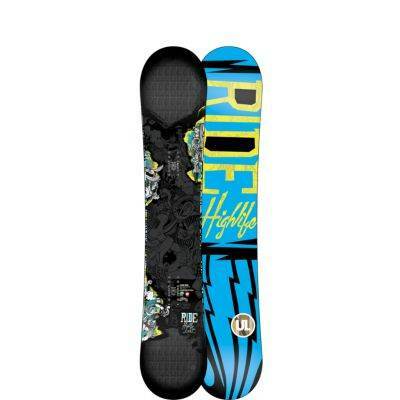 It makes for a more springy and much more fun board to turn/carve. 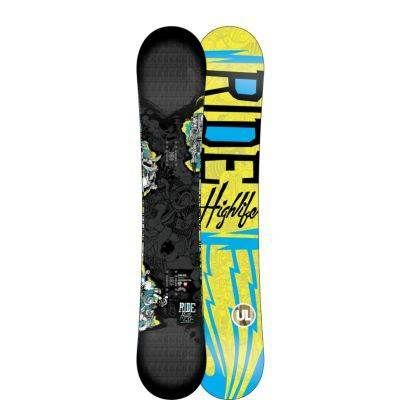 The Ride Highlife could make a freerider or Aggressive Directional All Mountain rider Very Happy. The Hybrid camber years are definitely the call over the flat to rocker years. 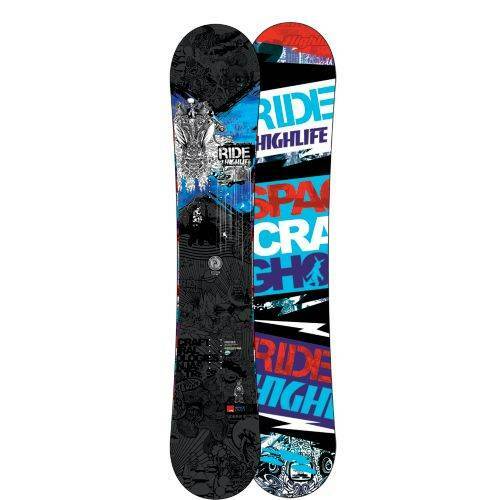 On Snow Feel: The Ride Highlife is the kind of board that is all about bombing the hill, riding powder and it’s pretty solid when it comes to carving as well. It’s not a park board. The board is stable and can even be a bit catchy if you aren’t on your game you could catch an edge. 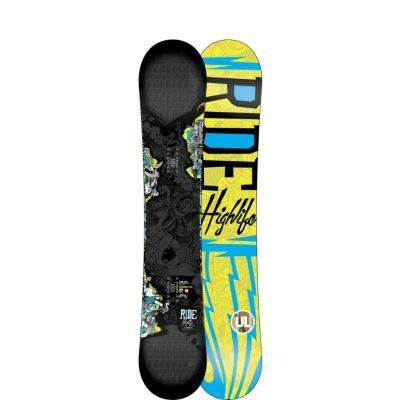 If you are use to 100% camber boards you will find this forgiving but if you come from a hybrid rocker or mostly rocker shape this will be a much more aggressive and less forgiving ride. Super easy to one foot and flat base. The UL tech makes this board much more lively and connected with you underfoot and it doesn’t have that ultra damp/dull feel. Powder: The Highlife’s -20mm setback and rocker that starts after the front binding inserts makes for a border line excellent powder board. Even with less than aggressive bindings in the mid flexing range it will turn pretty well in the trees and respond better than a board of this stiffness should. Narrow Chutes should work pretty well too. 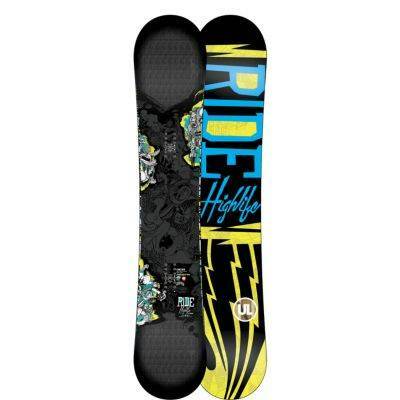 Even with a set up closer to centered the Highlife had an easy float in the foot of powder I had one day. Setting this back all the way and riding more off the tail will make this a lot more fun and feel much more like a freeride board in powder. It has an older school feel with a new school float. It’s not going to feel incredibly slashy or surfy but it’s more on the surfy side of all mountain riding. 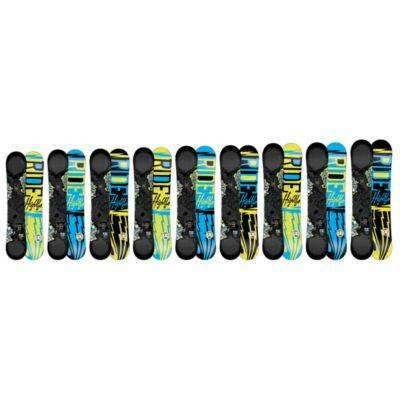 If you split equal time between groomer days and powder days this is a great compromise. Turn Initiation and Carving– The hybrid camber design makes the Highlife a fun board to bomb hills and lay into some really fun carves. You have to work for it a little but to us the return on a carve was worth it. Short radius turns are better than you would think but it’s a pretty stiff board. Wide radius to deep carving turns are a treat and what this board is made for. There is a lively feel that most boards in Rides line don’t have that makes turning a lot more fun than it’s little brother the Ride Berzerker. Speed: Ride makes fast boards and even their park boards have more of a damp feel than some all mountain boards in other lines. 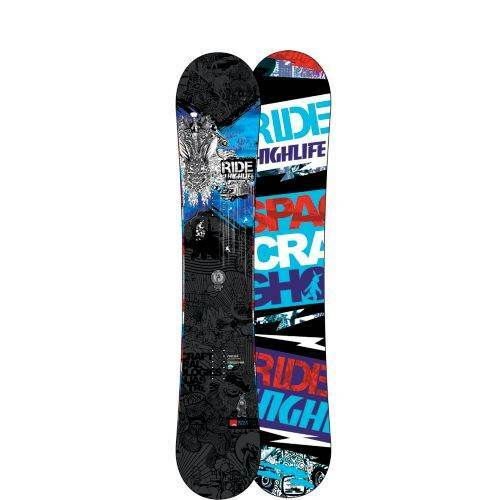 The Highlife is ultra damp like all ride all mountain to freeride boards but at the same time still lively and fun. It will make a ballsy rider push it more and a more cautious rider comfortable at higher speeds than they are use to. Uneven Terrain: It’s not the easiest but for this flex it’s pretty good. Ride has the ability to make a board that absorbs low speed chatter in bumpy snow very well and the Highlife UL does a very good job helping you negotiate the end of a crowded day where moguls are starting form because of all the tracks. 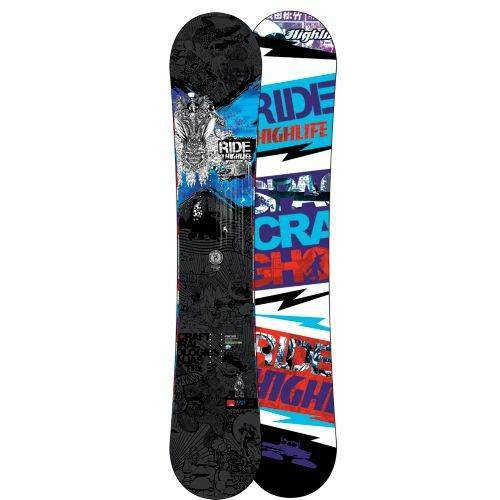 It’s pretty easy going over it to for a board of this type and it shields your body like good shocks do for cars. 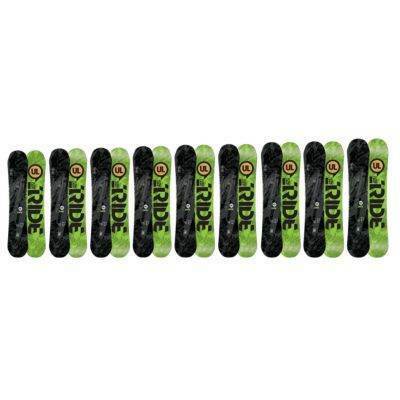 Edge Hold: Again Ride isn’t going to blow your mind on edge hold but it isn’t bad either. 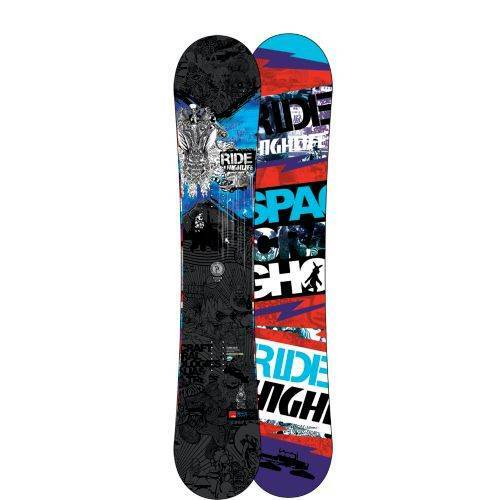 It holds like a traditional camber snowboard from the old days which is good but not great. 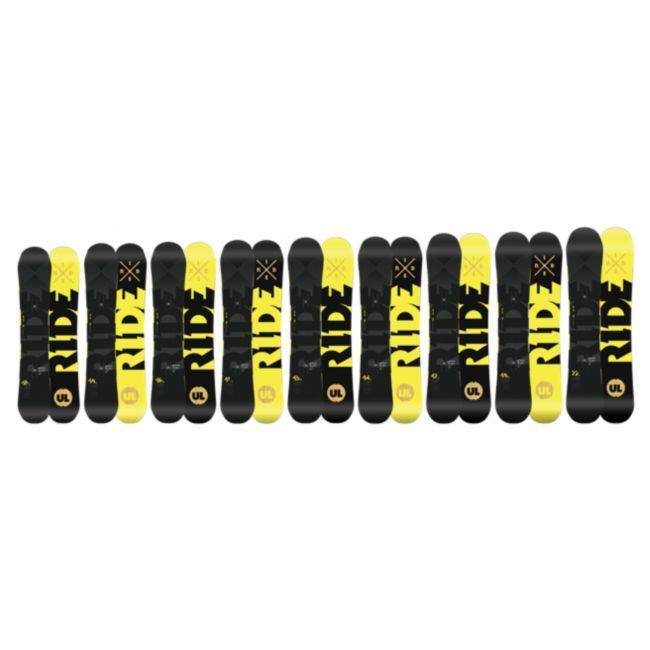 We’d like to see Ride add a little extra to the side cut so it competes with the boards in it’s peer group that have Great Edge hold. We are not saying we want the ultra grippy feel of magnetraction but would rather see some mellow bumps to secure our edge on harder days. That being said it holds pretty well in most conditions you want to ride. Flex: Torsionally and longitudinally this is a more challenging board to flex. It’s not for buttering or playing around. Approximate Weight– It’s a pretty light board but it didn’t feel as light as some of the high end light boards from other companies. It’s far from causing discomfort on the chair though. Switch: Not great here but it can hang if you need to occasionally lead with the tail. Pipe: Some people like a more twinish to directional twin ride in the pipe and some love a more directional board like the Highlife. 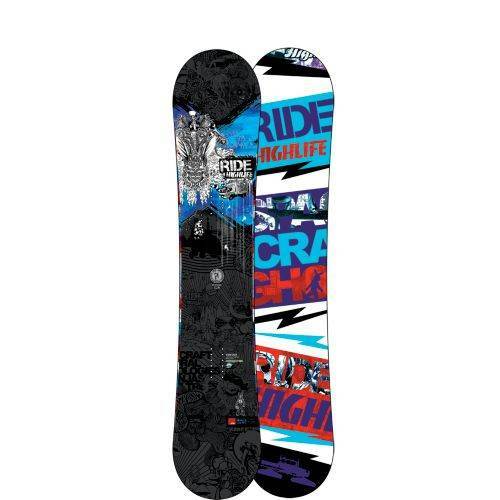 It’s not that forgiving but if you aren’t landing switch, know how to ride the pipe well and takie a more directional approach to the pipe you might really like this board here. 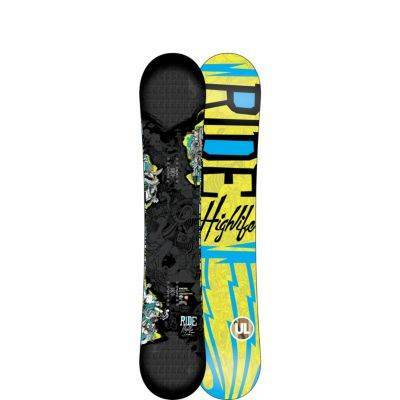 Jumps: We felt this was a lively board that not only returns some energy out of a carve but springs up if you want to ollie off a bump or drop on the groomers at high speed. It’s not really a roller coaster specialist in the park but it has a great directional mountain jumping kind of feel. 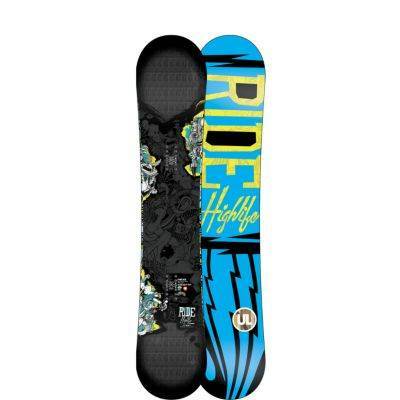 If it wasn’t for the spring and great ollie power this would just be a good board when it came to jumps. l if you are one of those guys who know’s they like to ride in one direction direction, loves the stability of camber, likes to carve, straight line and wants better in powder we strongly recommend the Highlife UL. It’s only minor weakness is edge hold compared to many of it’s peers. We try to get as many images of the Ride Highlife UL, but forgive us if they're not all there. After James Biesty (thanks once again!) confirmed, that I should go with the 168W Highlife, I bought it right away. I got back from Austria on sunday, snow conditions really sucked, not enough snow for powder/freeride. So it was pretty much groomers filled with stones and grass-patches all day long. Due to the lack of fresh snow, I went for charging as fast as possible, according to my GPS Tracker I hit 90km/h... Somewhere arround this speed, my brain kept screaming "slow down damnit!" while the Highlife went asking for more. 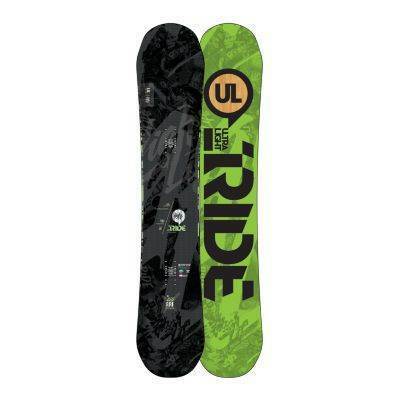 I have never ridden such a stable Board, it feels like being fixed to rails, while still being pretty agile. On one of the few trips into the "untouched snow" I nearly wrecked the board, after hitting something. Whatever it was, it penetrated the base, and nearly pushed through towards the topsheet, so i had a pyramid-shaped hole (2x2cm) in my Base a few cm from the inserts of the tail binding. After drying the Board and filling the hole with Ptex it seems to be okay, I cant make out any difference riding it so far. 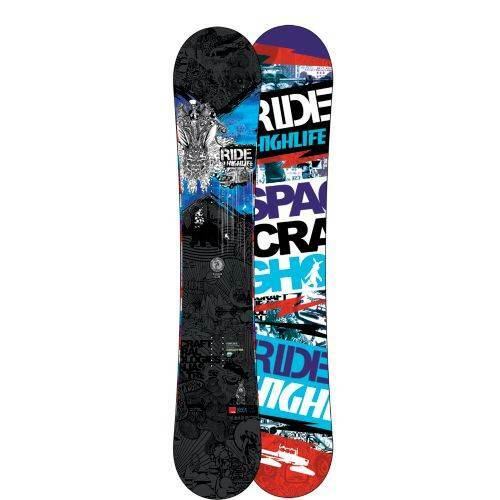 I absolutely love the Highlife UL, it's by far the best board I've ever ridden! 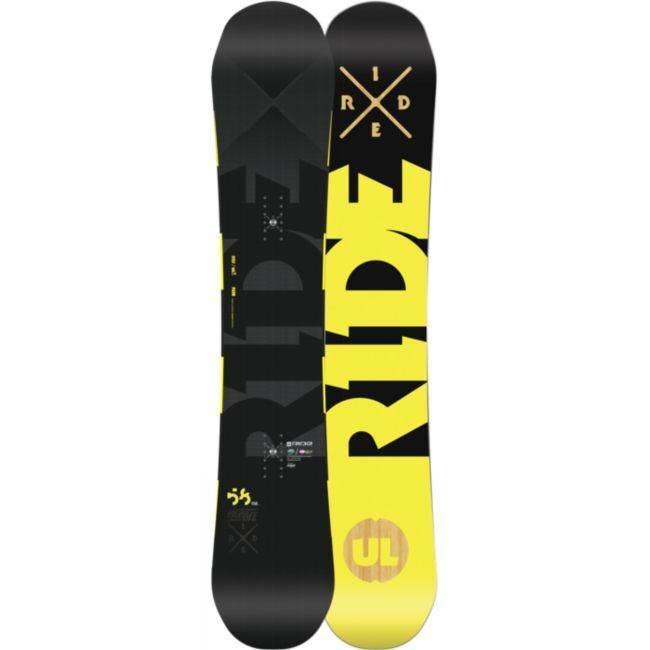 I rode a half day on my new 164cm High Life at Northstar 11 days ago. Snow conditions were early season so ran groomed runs only. I was immediately impressed with this board. My first impression was how smooth the ride was. I tried to hold back until I got used to it but was ripping on 2nd run. By 4th run I think I was at top speed plus. 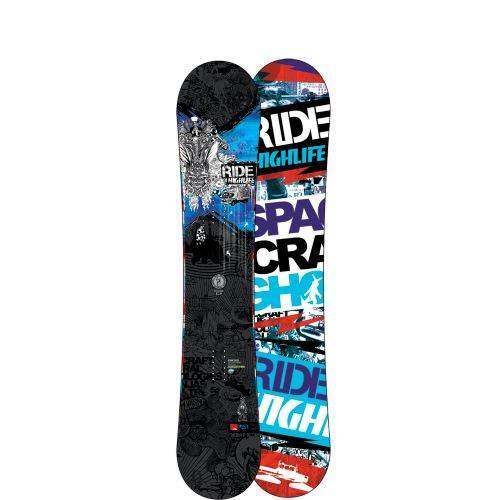 This board is fast. And again, so smooth (damp?) it allowed me to go faster than normal while just cruising through any mildly uneven terrain. This board carved beautifully. I love how stiff it is as I'm 205lbs and it felt really strong and stable when I laid into a high speed turn. I did catch an unexpected edge once and got tossed hard so hopefully was just an error on my part and not an issue with the blunted nose as I have read about somewhere. But my overall review is nothing but "phenomenal". 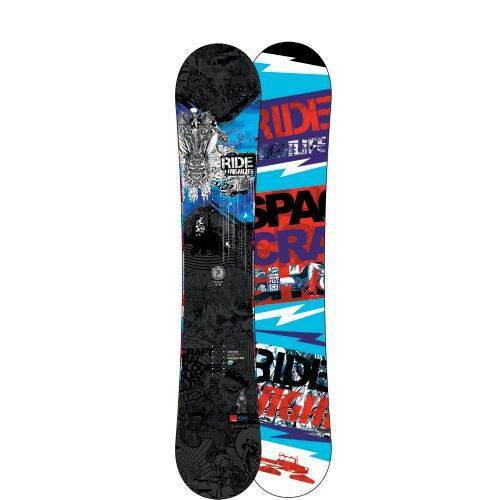 I loved this board and I haven't even got to ride it in powder yet which may be its best feature. This was the first rockered nose board I've ridden and that with the set back stance I have every confidence this board is going to float like a dream in the powder. 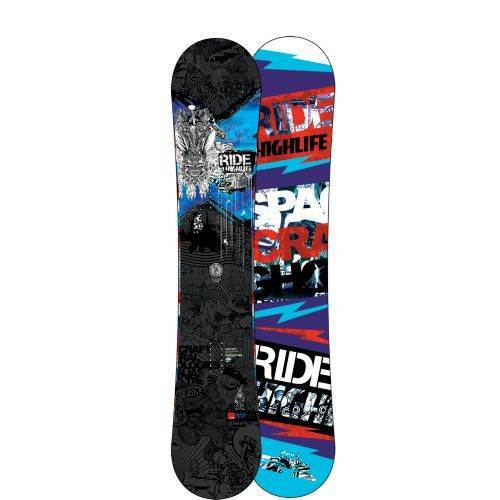 I ride this board whenever my friends want to race down the mountain. Keep it waxed and you have yourself a race car. It's not quite as the given review makes it out to be but it's definitely pretty firm. This thing is GREAT for jumps because it's so light. 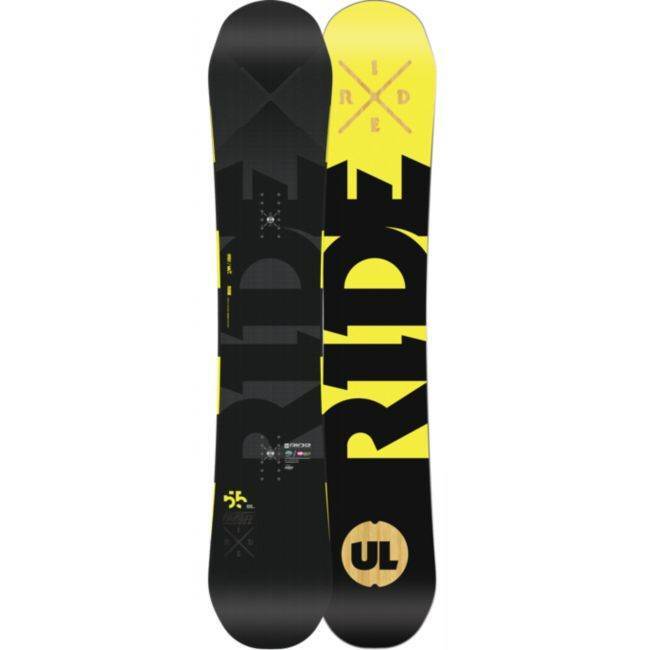 Stay away from rails and you'll love this thing. One thing it is NOT good at is sharp turns at high speeds :( TL/DR: It's a Ferrari.